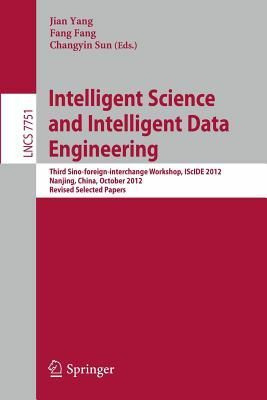 This book constitutes the proceedings of the third Sino-foreign-interchange Workshop on Intelligence Science and Intelligent Data Engineering, IScIDE 2012, held in Nanjing, China, in October 2012. The 105 papers presented were carefully peer-reviewed and selected from 429 submissions. Topics covered include pattern recognition; computer vision and image processing; machine learning and computational intelligence; knowledge discovery, data mining, and web mining; graphics and computer visualization; and multimedia processing and applications.